A protein in wheat that triggers the inflammation in serious health conditions including asthma, multiple sclerosis and rheumatoid arthritis. People with coeliac disease are genetically susceptible to the disorders caused by the ingestion of gluten from wheat, rye and barley. The immune system in coeliac disease patients mistakenly classifies gluten as an invader and attacks the small intestine lining leading to various gastrointestinal symptoms, such as abdominal pain, bloating and diarrhoea. 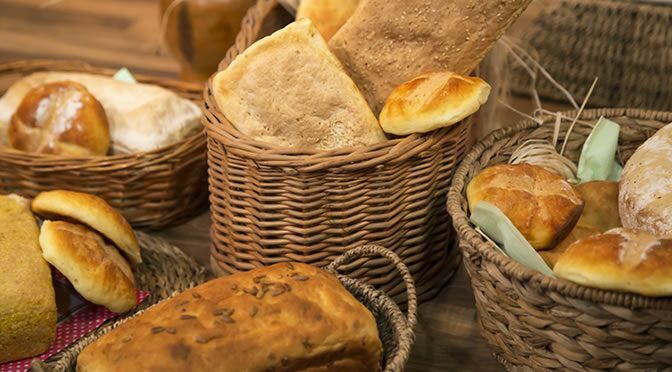 Previous studies have only focused on the impact of gluten on the digestive system, but new research turns the attention to a family of proteins which is also found in wheat called Amylase-trypsin inhibitors (ATIs). Despite ATIs making up only 4% of wheat proteins, they cause strong immune reactions in the gut and other tissues in the body, generating inflammation in tissues of the brain, spleen, kidneys and lymph nodes. These particular proteins play an important role in the development of non-coeliac gluten sensitivity and can aggravate the symptoms of inflammatory bowel disease, asthma, multiple sclerosis, rheumatoid arthritis, lupus and non-alcoholic fatty liver disease. “As well as contributing to the development of bowel-related inflammatory conditions, we believe that ATIs can promote inflammation of other immune-related chronic conditions outside of the bowel. The type of gut inflammation seen in non-coeliac gluten sensitivity differs from that caused by coeliac disease, and we do not believe that this is triggered by gluten proteins. Although people who suffer from non-coeliac gluten sensitivity do not have celiac disease, they share many similar symptoms and usually they also benefit from having a gluten free diet. Removing gluten-containing food such as wheat appears to relieve symptoms such as low mood, fatigue, headache, eczema, joint and muscle pain. The study was presented at United European Gastroenterology (UEG) Week 2016.